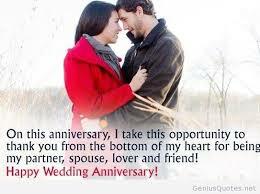 Sometimes we forget our anniversaries due to one reason or the other. Forgetting of anniversaries is a pardonable offence because your spouse knows that whether you remember it or not that you really love them. Anniversaries is a painful reminder to some of how they used to be as a couple before things went bad in the relationship or a reminder of a special occasion they once had as a couple which they cannot be able to replicate in recent times. To some, it’s an opportunity to show your spouse that even though times have passed that you still love them much more than you did before. Choosing the perfect gift for this great occasion is very important because your gift is a reflection of how you feel presently for your spouse. Don’t think for a moment that your husband cares less for the gift you give to him because deep down in his heart he secretly wishes that his wife will be able to read his mind and choose that perfect gift his heart yearns for. Here are four great tips and ideas that will help you choose that perfect gift for your husband. Everyday Items: Think of what your husband does for a living and the type of gadget he may need that can make his work easier for him. It could be a new tool that just came out recently that will make him finish his work on time so that he can have more time for you and the kids. Appearance: Think of improvement in the way your husband appears in his workplace. Many men do not really take proper care of their appearance because they are more concerned about providing for the family and seeing to it that the family is as comfortable as possible. Your husband will so appreciate it if you can buy a gift that can give an overall improvement in his appearance and make him look good. Leisure: Think of what your husband needs most during his time of leisure. This could be anything from golf items to a soccer boot. I am sure you know him too well and the kind of leisure he enjoys, get him that item or equipment that will bring smiles to his face. Fitness freak: Is your husband a health and fitness freak? How about getting him a set off sports equipment that will help him loose some of that potbelly. This kind of gift has a way of paying off in the bedroom. Go for it. Church Things: How about church. Your husband loves going to church, get him a bible, a suit or a nice piece of shirt that will go with that suit he has not worn in a long time. Have you noticed that your husband has not changed his phone in like two years now? I am sure that he is missing out in the recent techs that are available now. Won’t it be great if you get him the latest IPad or change that laptop that he has used in forever. Maybe your husband complains that he doesn’t get enough time to shave which makes him look like a caveman most of the time, I think getting him a great shaver will do the trick. You will thank me for this later. How about preparing that meal your husband has not eaten since his childhood. Each time he remembers the meal he thinks of his mum. This is a great time to prepare this meal and make him shed some lovely tears. Your anniversary will never be the same again. Your gift will create a memory that will linger for years to come.